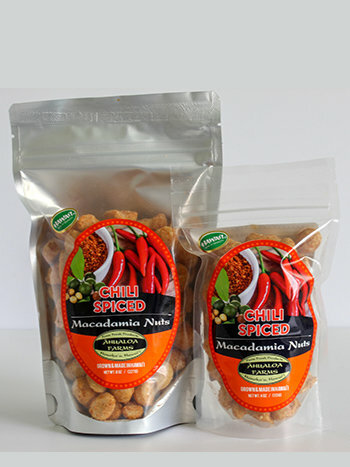 Hawaii macadamia nuts with a bold spicy flavor. Flavored macadamia nuts. Choose from 4oz and 8oz bags.